These charming bar stools look equally at home at a bar counter, kitchen island or high table. This bar stool has an open backrest design and comfortable leatherette seat cushions. The seats also have a gentle swivel motion movement. 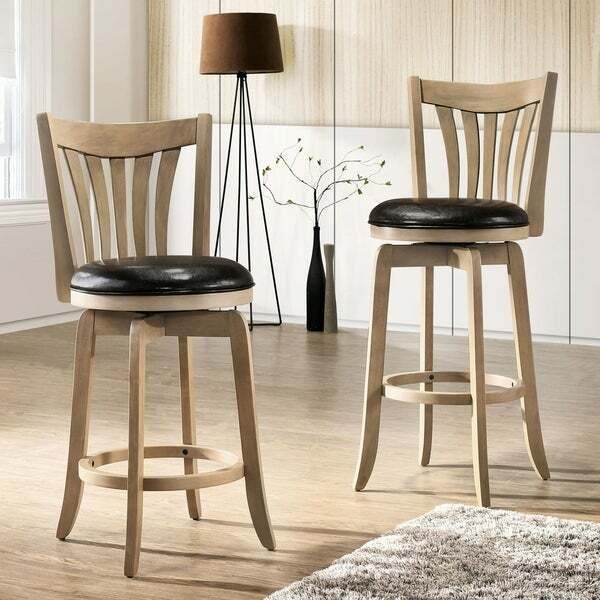 The rich wood finish makes these bar stools a handsome addition to your home. Dimensions 20.5 In. X 17.8 In. X 38.75 In.